Finding the perfect venue and a team you trust is the one of the biggest commitments you’ll make during your wedding planning experience (next to the “I Do’s,” of course). While we think our personalized service and sophisticated spaces speak for themselves, you don’t have to take our word for it. Read what past brides and grooms have said about their Deerfield wedding in our Love Letters. Amazing Team who made every request and detail happen and made it even better! I am truly thankful for all the assistance you provided with the preparation and the day of….you made it a stress-free and fun wedding! The ballroom was so beautiful, food was great, and Deerfield folks ensured we and our guests enjoyed the wedding. And….they made sure me and my husband were attended to, had time to enjoy the food, the drinks and the place. THANK YOU ANGELA, LIZETTE, STEPHANIE, MICHAEL and TEAM!!! Deerfield was the perfect venue for our wedding day. The staff is so professional and truly cares about making your day perfect! The staff worked great with our vendors to ensure everything was exactly as we wanted it. The pine trees location for our ceremony was perfect and our guests were able to utilize the outdoor patio during cocktail hour. Lizette and Michael made sure the day of ran perfectly and that I (the bride) was stress free! Our bridal attendant Sarah was always right there when we needed something. Angela was there every step of the way during the planning process! Our family and friends had so many amazing things to say! Everything was absolutely perfect! I knew Deerfield was the right choice almost immediately when we were venue-shopping for our wedding, but I was blown away by the level of care and professionalism Deerfield demonstrated. From start to finish every single person was exceptional. I want to give a special thanks to Carly. I don’t know where they found her, but she was fantastic – attentive, poised and calm. She stayed close whenever either my husband or I needed anything but we never felt crowded or over-served. Chef and his entire kitchen team were spectacular. Guests are still raving about the food, and they have said it was the best wedding dinner they’ve had. Lizette and Michael were in the pinnacle of professionalism. Michael asked me a couple of times throughout the night if everything was going well. I could never find a complaint. Lizette was a fantastic ally to have when I needed to be pulled away from overly chatty guests or just needed to eat. And from the time I first toured Deerfield to the last Wednesday before the wedding, Angela was phenomenal. I never had a question unanswered, always felt like I was her only client when I called with small or strange questions. She was incredible, and I have been shouting her and Deerfield’s praises from the Main Line Philadelphia. 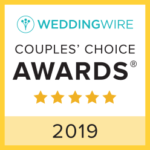 Read more great reviews at weddingwire.com.